Richmond's prosperous beer and alcohol scene has skyrocketed to international recognition. 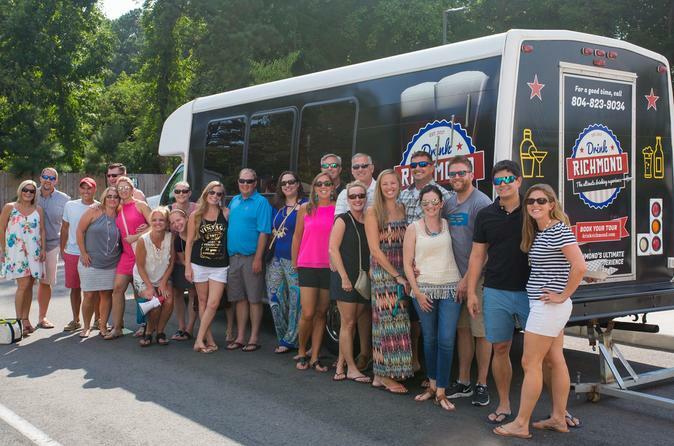 Hop on board our fun bus to experience Richmond's blossoming alcohol producers, for tastings and tours at some of the area's best breweries, distilleries, and cideries. Sit back and relax as we transport you to three to tour locations. Join us, and explore Richmond through its alcohol producers! Spirit lovers jump on board and meet your brew bus at Castleburg Brewery and Taproom located at 1626 Ownby Ln in Richmond. We will take you to three to four of Richmond's notable and award winning craft alcohol producers for tastings, drinks, and tours on our comfortably fun bus. Water if available at each stop throughout the tour and do not allow consumption of alcoholic beverages on the bus. We suggest bringing your own water bottles and snacks. The bus and your guide will meet you inside Castleburg Brewery (1626 Ownby Ln, Richmond, VA 23220) 15 minutes before the start of your tour. On Mondays and Tuesdays, and Wednesday-Friday afternoons we will meet at the bus!